On a diet? Trying to get your kids to lay off on the ice cream? Then you might find Ben & Jerry’s Pint Lock useful for your purposes. The picture says it all. Need we say more? 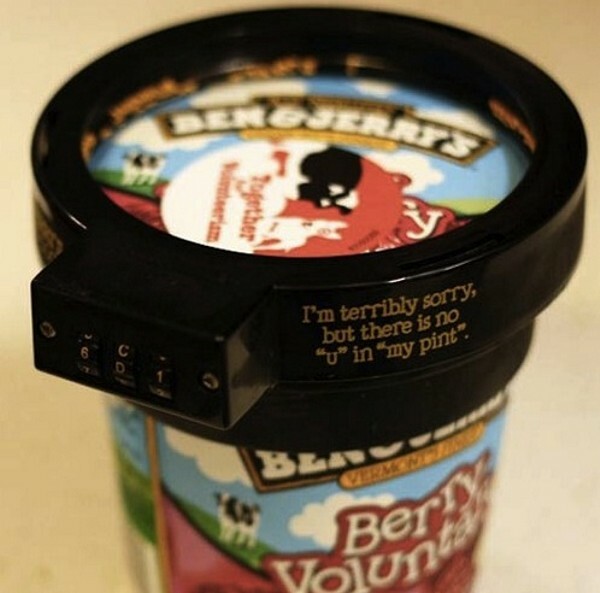 Basically, the Pint Lock is a huge combination lock that will keep your Ben & Jerry ice cream pint cartons secure from thieving hands or from people who aren’t supposed to be eating ice cream. You won’t ever have to open the freezer only to find a spoonful of ice cream left in the pint you just bought yesterday with this baby clamping down on its cover. You can also use it to help you along with your diet. Just ask your kid or significant other to set a random code and keep it from you so you can’t get any ice cream unmonitored. 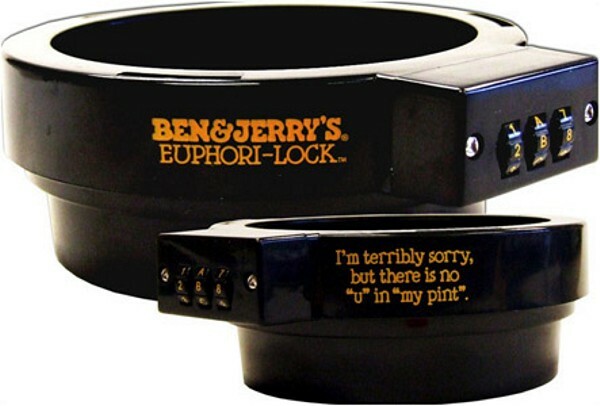 The Ben & Jerry’s Euphori-Lock is available for $6.64 each and is currently out of stock, though it will be back in stock by mid-August – just in time for the hottest part of ice cream season.